﻿ Nothart Products | Cantilever Pumps | Barnes / Crane Deming | Nothart Engineered Sales Ltd. 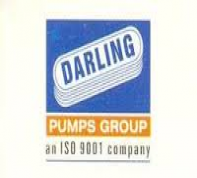 Darling Pumps is an ISO 9001:2000 Company with over 35 years of expertise, having 250 indigenously developed models meeting the exacting needs of Global markets. Continuous enhancement of technical expertise at all levels has been the backbone of successful presence of DARLING PUMPS. From heating homes and buildings, to handling wastewater, to removing water from problem areas, we are a leading provider of pumps, systems and accessories including a full range of energy-efficient wastewater and dewatering pumps. In addition to offering energy-saving pumps, systems and valves, we re a leader in variable-speed technologies that allow pumps to adjust to system demand and perform far more efficiently.